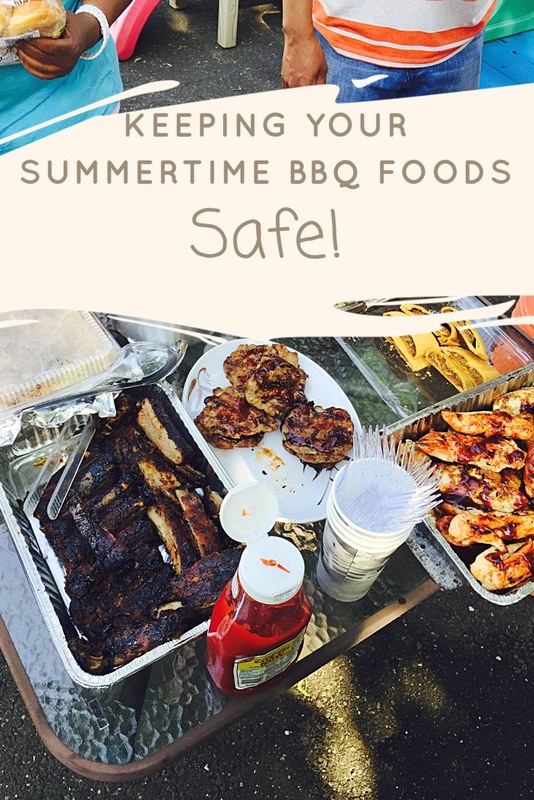 Summertime eating is one of my favorites about this time of year. This is such a great way to take advantage of the longer days, sun and moments with the ones you love. 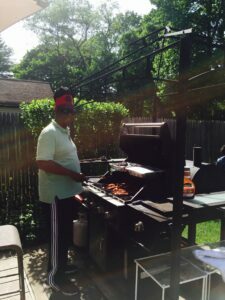 But when it comes to eating outside it becomes the worry of being able to keep your food fresh. Did you know the higher the heat, you could run the risk of your or another person getting food poisoning? Common sense right? Well, these should be. But I have gone to parties and have gotten sick and wondered why, and maybe you did too? 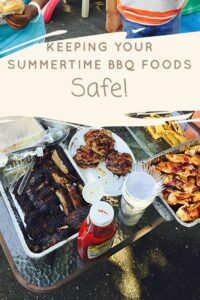 Being a host you cannot fall asleep on these tips to keep your Picnic and BBQ Food safe during Summer outdoor fun! Everyone including the Cook needs to wash there hands! Common sense rule#1, Keep those hands clean. If you are making a salad and using your hands after you handled raw or chicken juices can cause potential contamination. While cooking outside make sure you keep a hose close by or use hand sanitizer. The best part is your keeping those hands clean and your food fresh! Use Separate Plates! Common Sense Rule #2. Some might forget food they had raw food they can still serve on. No this is not correct! This will really run the chance of you getting some type of food-borne illness. Keep Certain Foods at Proper Temperature! I am famous in the summer for making my Potato or Tuna Macaroni salads. They have mayo and other ingredients that can spoil fast. If you have no access to a refrigerator, keep an outdoor cooler with a temp of 40 degrees F at least. Keeping the lid closed as much as you can. Store in the refrigerator as soon as you can. For meat dishes make sure you serve your meats at their required temperature. You can check you’ re food with a cooking thermometer. Never keep any foods at room temperature foods especially if they have been out for more than 2 hours. When it comes to having fun and having a good time. You will not want to risk it all from careless mistakes. Keep it Fresh my friends!